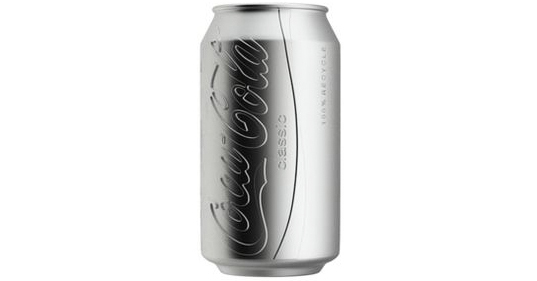 New York based designer Harc Lee has created this Coca-Cola can made with pure aluminum and no paint, which results in a more sustainable manufacturing process and making recycling more effective. Hopefully Coca-Cola puts it into production. * How ‘green’ can drinking Coke be anyway?